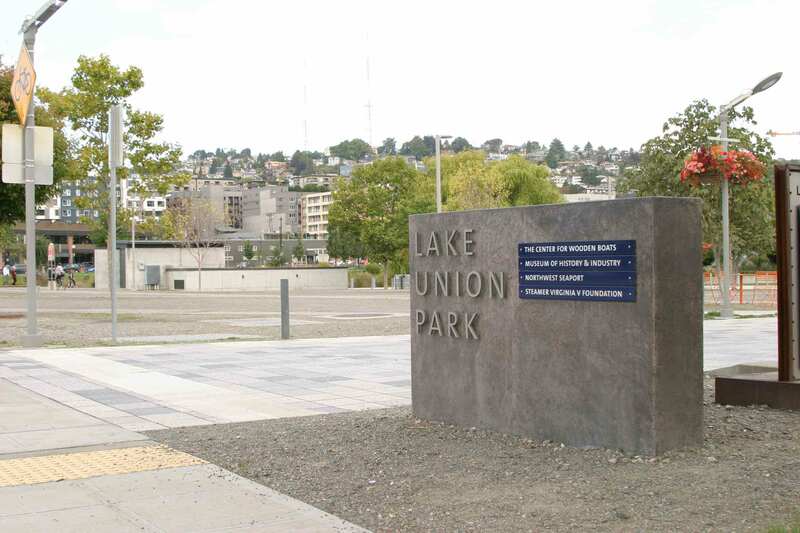 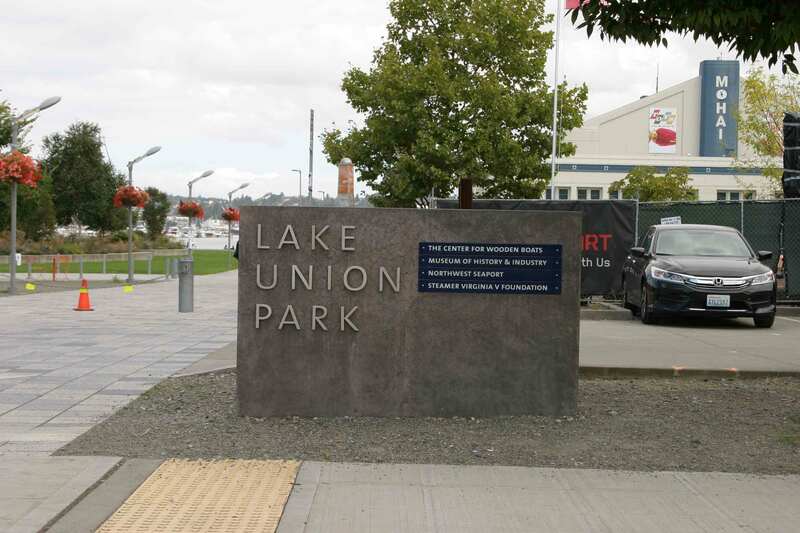 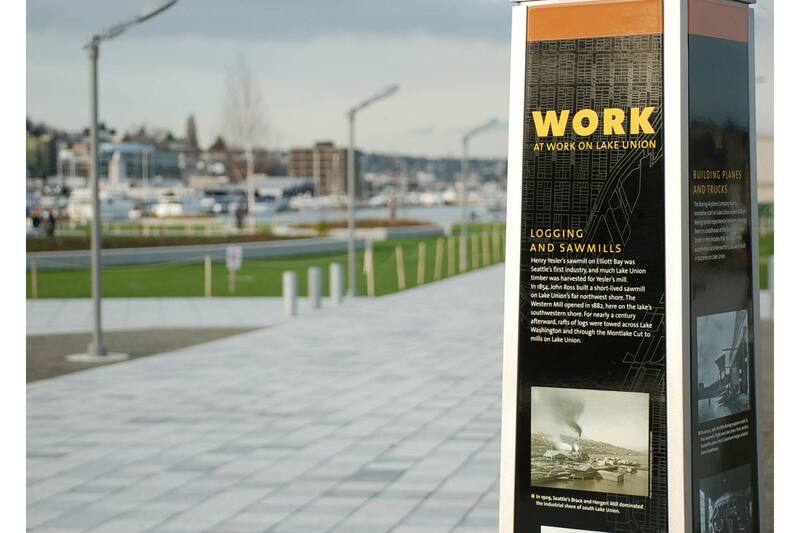 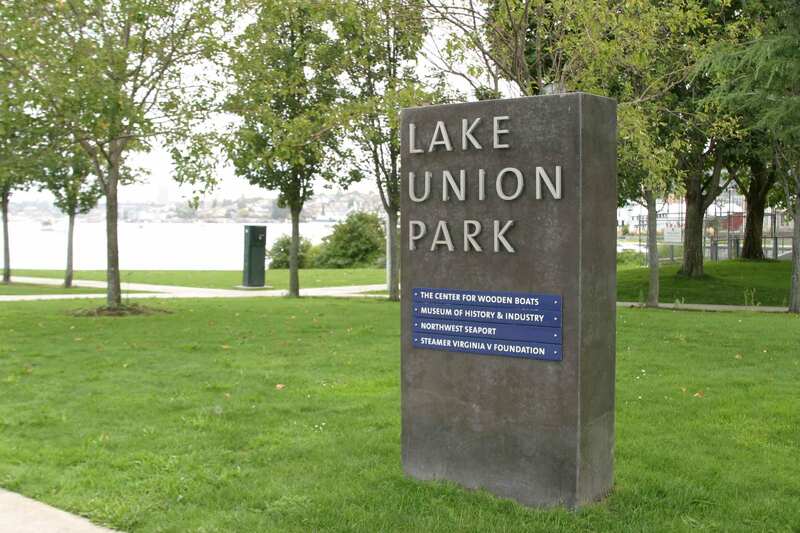 Seattle waterfront history takes center stage at Lake Union Park. 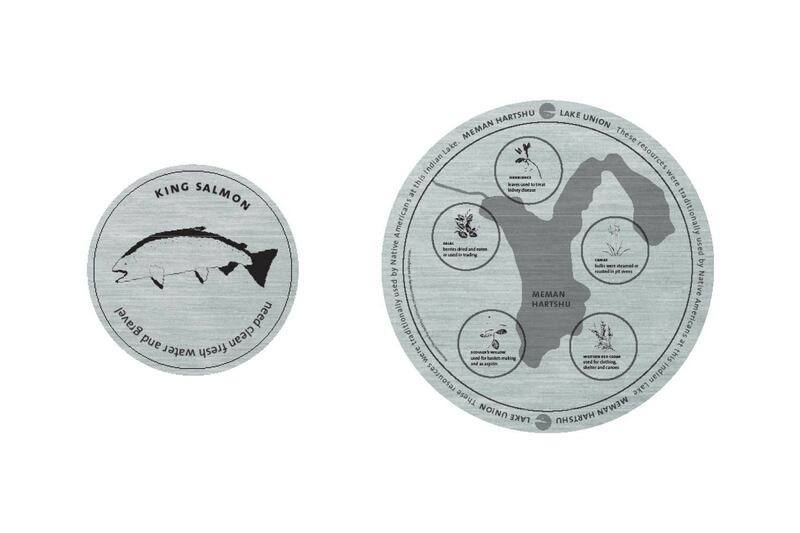 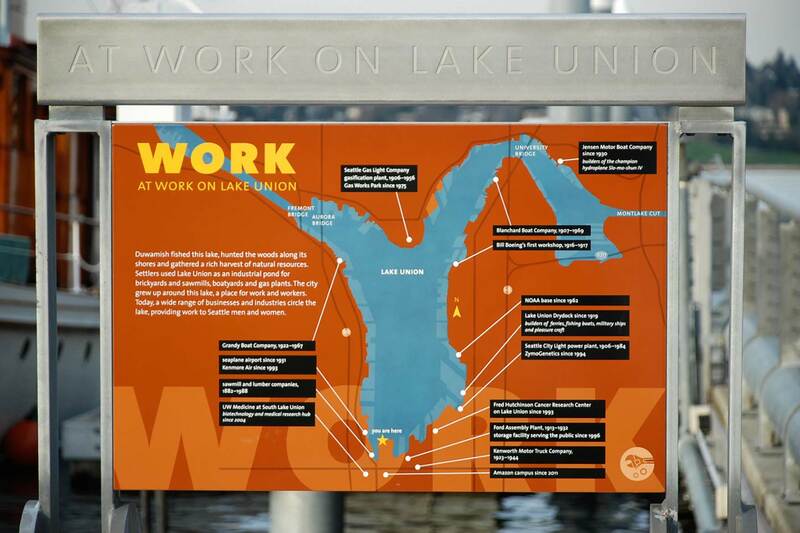 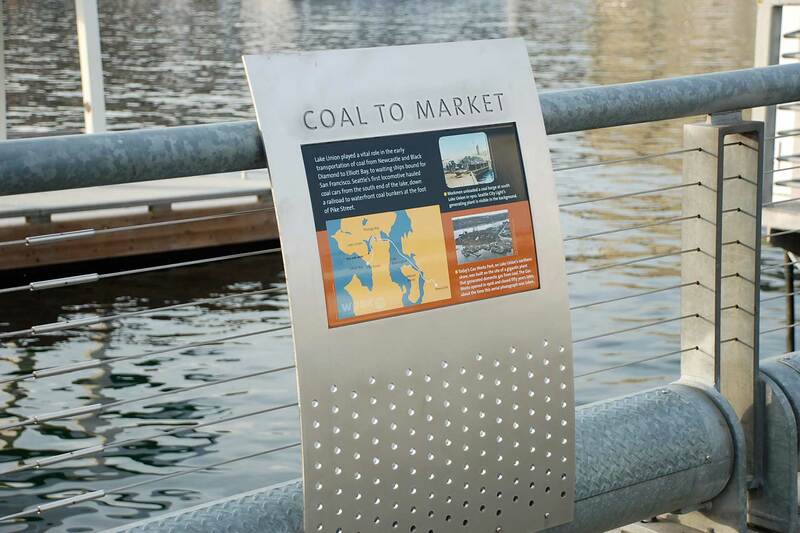 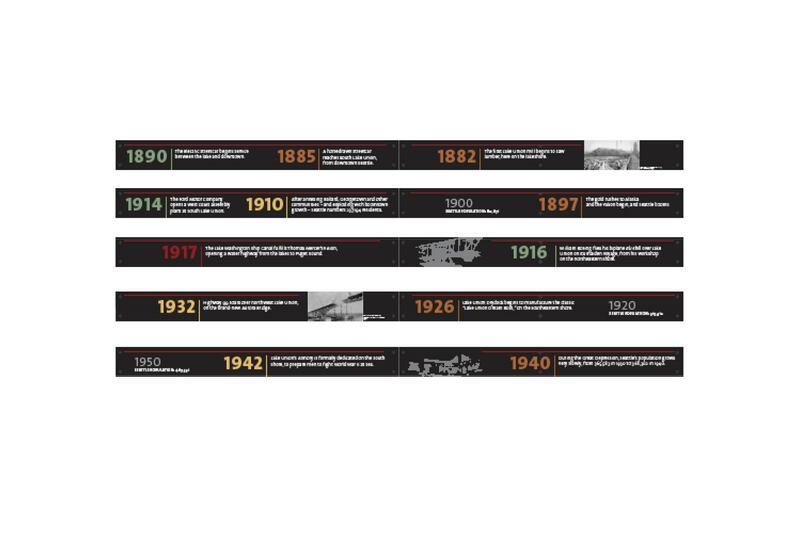 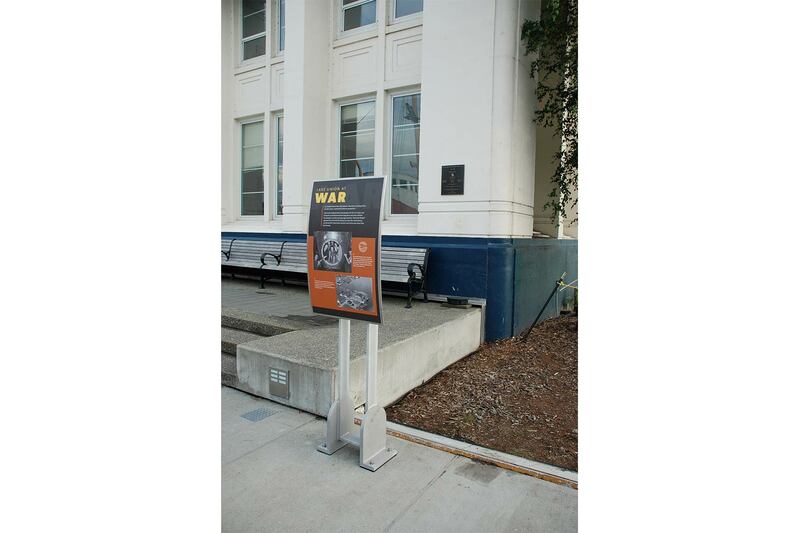 LCS designed the History Trail there; a series of interpretive monuments, signs, and exhibits focusing on the rich urban culture where the city meets the water. 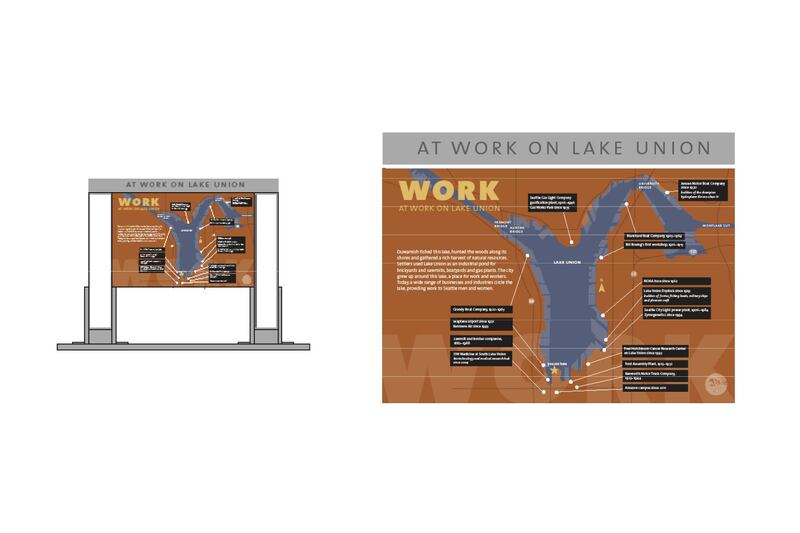 Mindy and her team also designed the information kiosk, park entry signs, push cart, and sandwich sign supports. 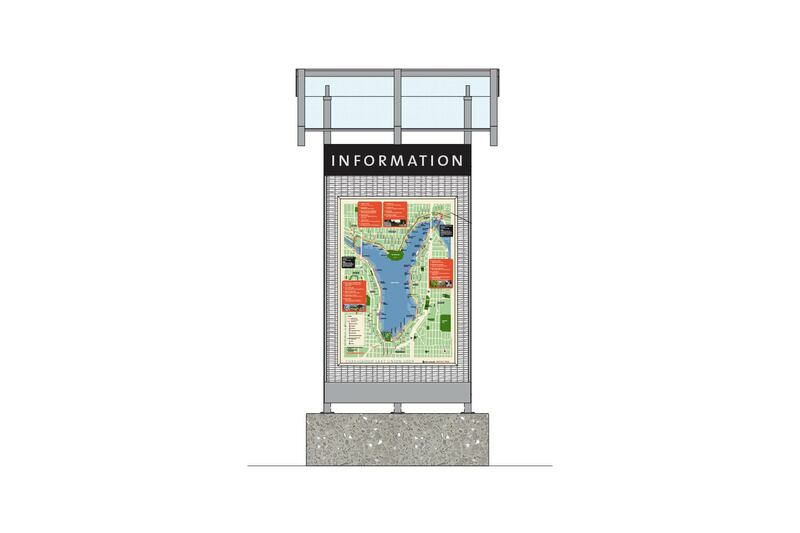 Furthermore, LCS developed signage guidelines for the park. 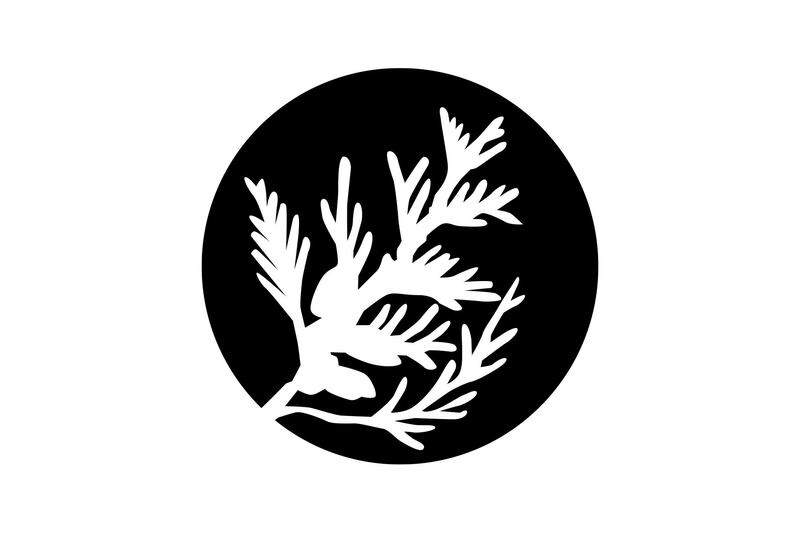 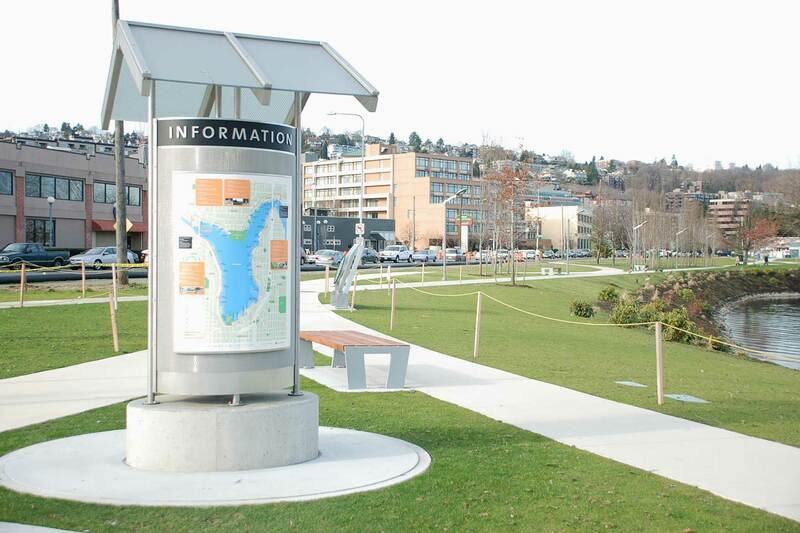 Working closely with Seattle Parks and Recreation, Seattle Parks Foundation, and Hargreaves Landscape Architects, LCS created iconic design elements responding to the park’s unique micro-environments and fascinating, important history. 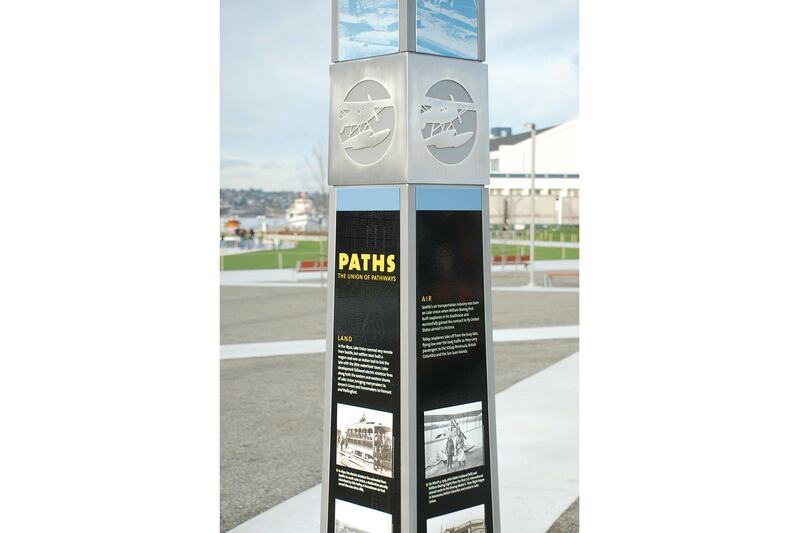 The Seattle Parks Foundation hired LCS to design sign icons and a map for their newly stitched together and renamed bike and walking trail. 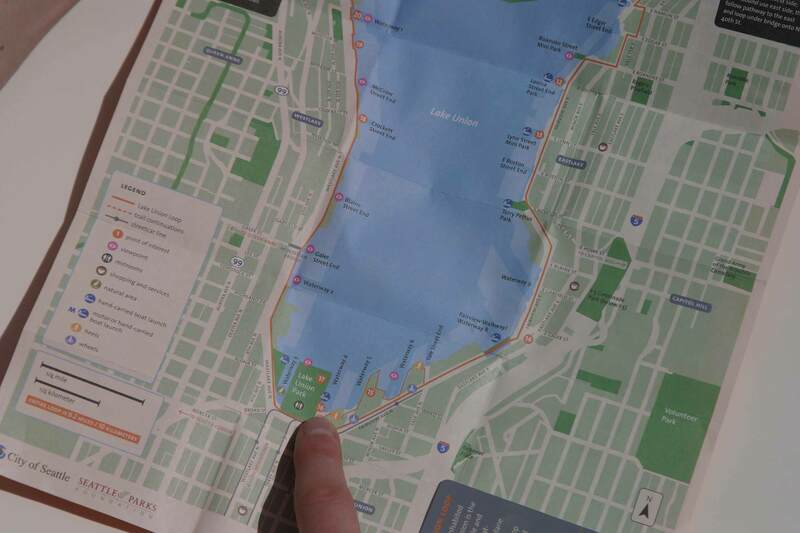 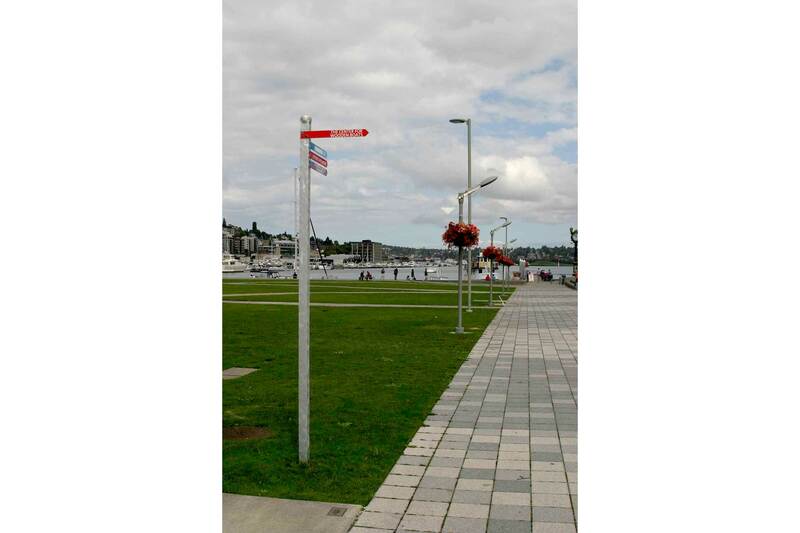 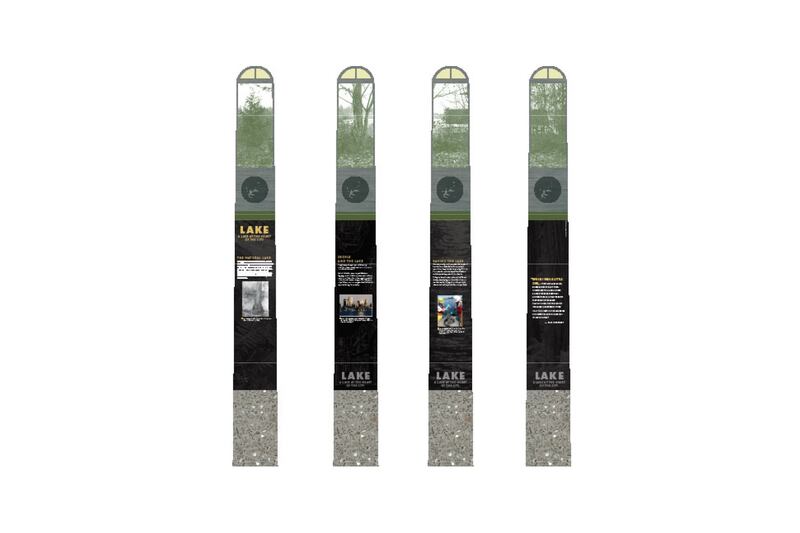 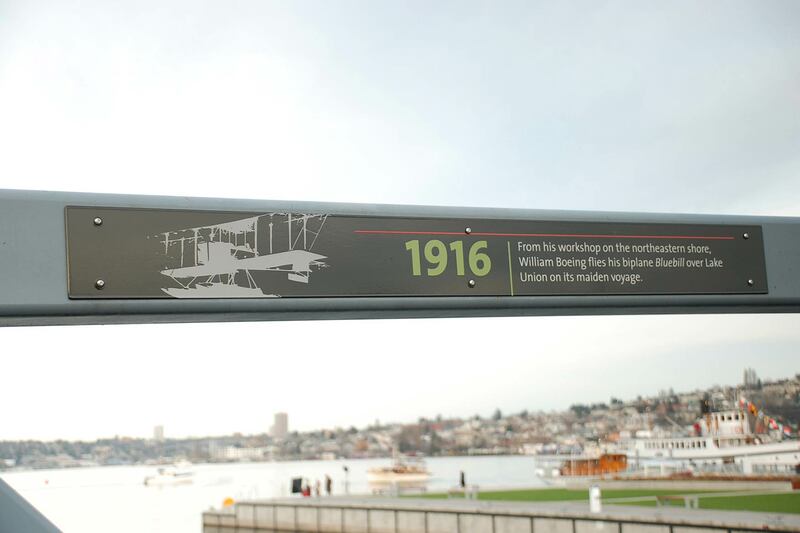 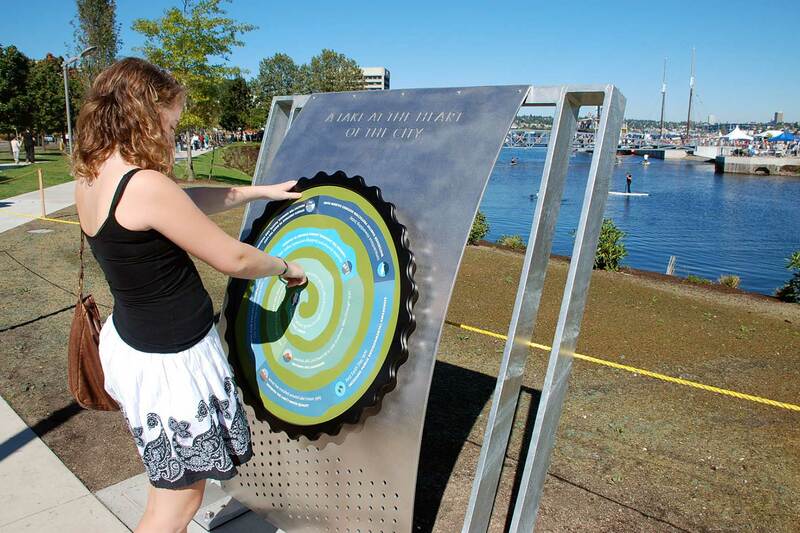 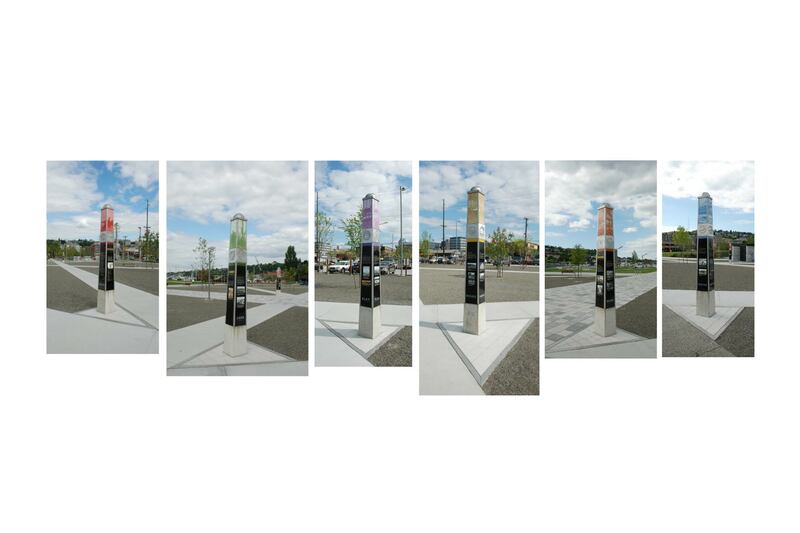 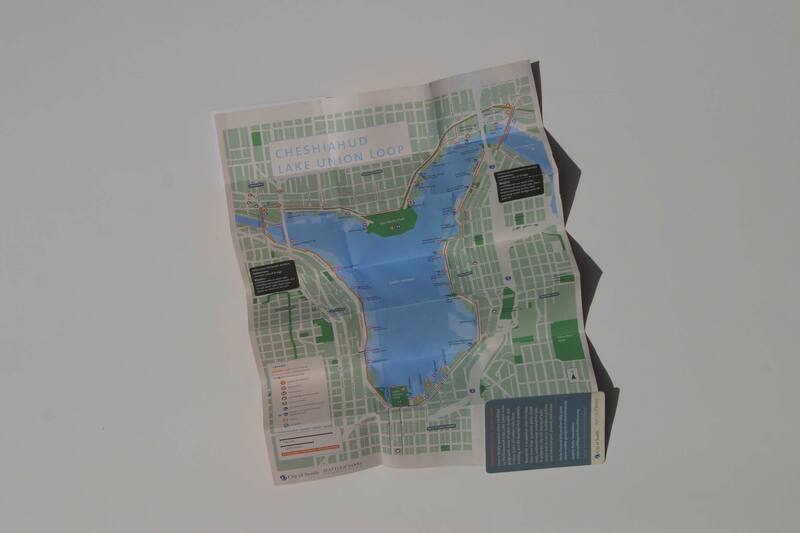 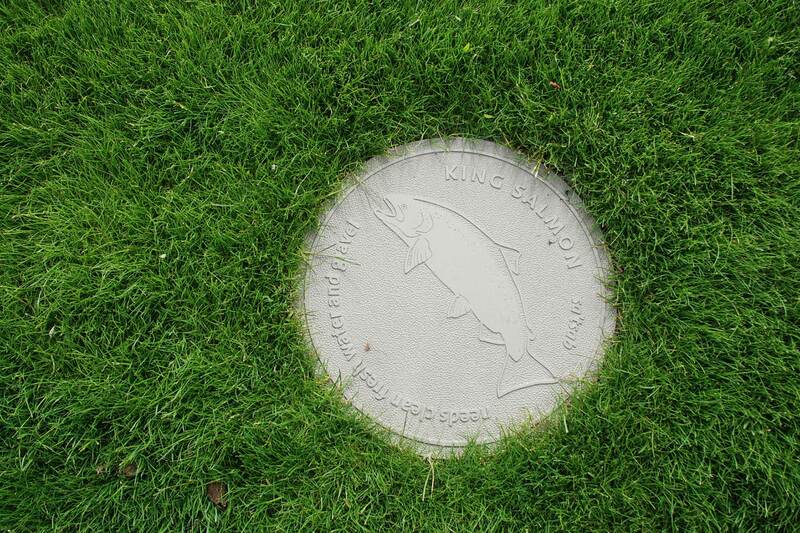 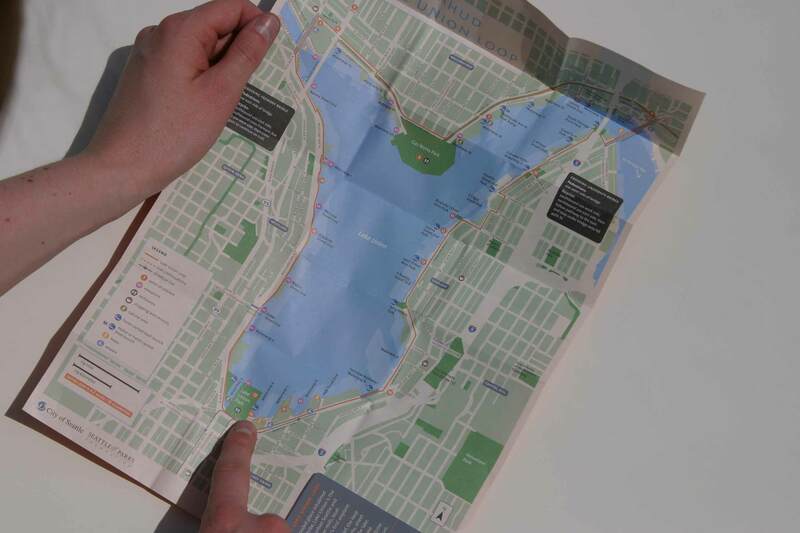 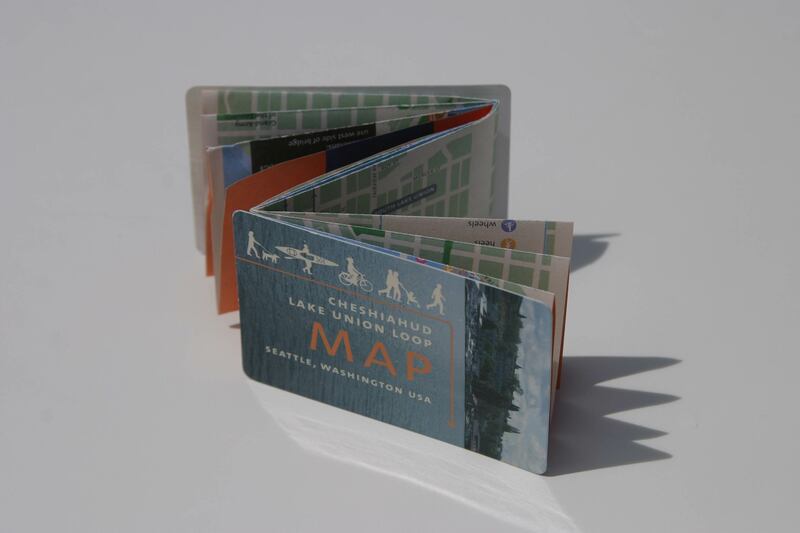 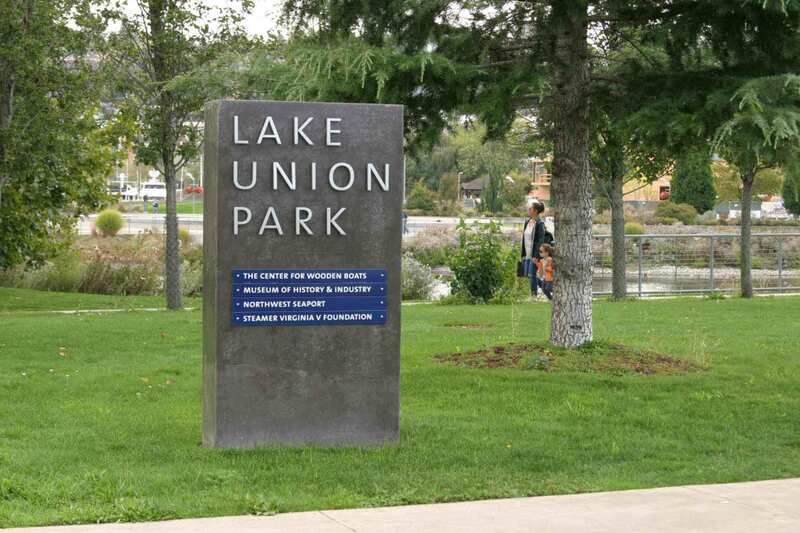 The 6.2 path passes by 35 pocket parks and celebrates the rich history of Lake Union, Seattle’s central lake. 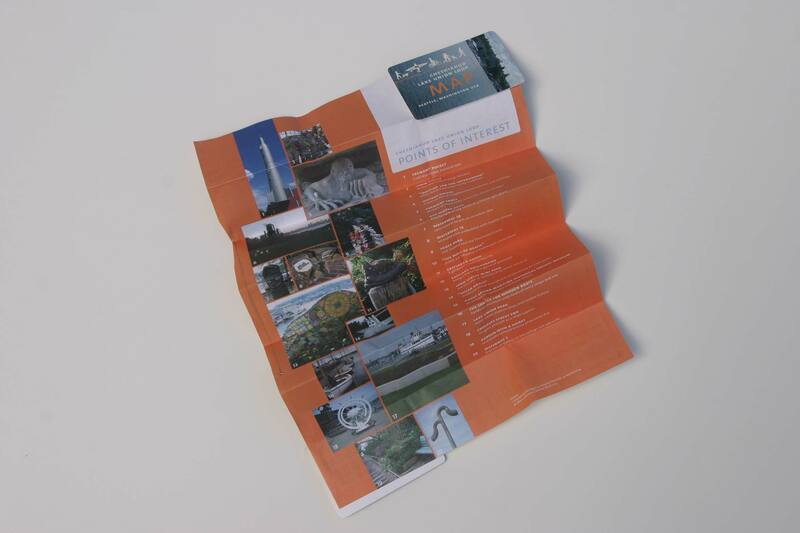 Our solution — a pocket-sized fold-out map with identified points of interest — is a handy, portable reference for the descendants of Chief Cheshiahud and friends.